This week I voted in favor of a Resolution that allows remote testimony to Legislative committees via video conference. Our District 56 is the second farthest district from Salem. My hope is for Klamath and Lake County residents to have a more equal footing in the legislative process and influence on policy going forward, using modern video conferencing. House Concurrent Resolution 24 will make the legislative process more accessible to people in Klamath and Lake Counties who wish to testify before a committee on a particular bill but are unable to travel to Salem to testify in person. HCR 24 modernizes the legislative process and removes the barriers to testimony for those people who cannot travel the great distance to Salem to testify. Under current rules, Oregonians have a right to testify in person or by submitting written remarks by committee deadline. In limited circumstances, a committee might also hear testimony over the phone. Earlier this session, lawmakers experimented with remote video conference testimony and saw great success. HCR 24 would capitalize on this momentum, by allowing the Senate President and Speaker of the House to work with the Legislative Administrator to expand the use of remote video testimony even further. Also, House Bill 3288 passed this week, which will help make higher education more affordable for Oregonians. 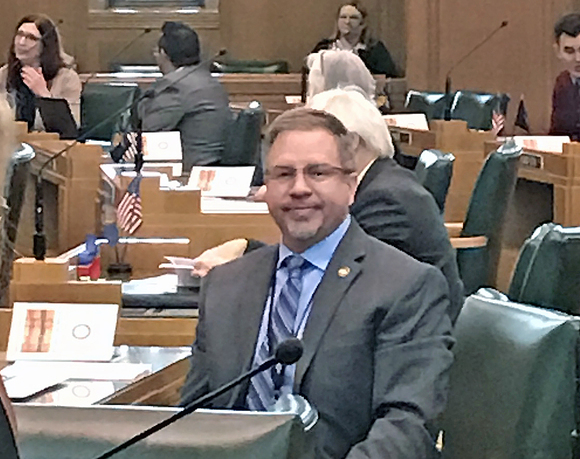 I co-sponosred this bill with Representative Gene Whisnant (R-Sunriver), which requires Oregon’s public universities to submit information concerning cost drivers, such as administrative growth, to the Higher Education Coordinating Council each year. By exposing the particular issues that continue to drive tuition upward, legislators can take action and work to address each issue head on. We are on the final stretch of the 2017 legislative session. Still in front of us are the biggest issues of the session: transportation, health care and the budget. I will address these issues in my next newsletter.